Are you typically unsatisfied with your haircuts? If so, it could be that you’re going to the wrong place. While we normally post hair tutorials, today we’re going to be bringing you a different kind of post. It’s important to keep up to date with the latest men’s hairstyle trend, but it’s also important to talk about other aspects of men’s hair. One of those important aspects is location. You could be doing everything right and still get a bad haircut. It’s entirely possible that you could go to get your hair cut, picture in hand, knowing what clipper sizes you want, and you could still walk out with a haircut that you don’t love. If you’re going to a salon, that’s probably the case. Many guys go to salons or places with “clips” or “cuts” in the name. These places cater to a wide audience. Because of that, salon stylists are usually generalists, meaning they know a wide range of haircuts. This sounds good at first, but what you really want is a specialist. Instead of a stylist who is okay at a plethora of haircuts, you want someone who is excellent at a select few styles. That’s where barbers come in. Barbers are specially trained to cut men’s hair. They know what men are looking for in a haircut and are familiar with the range of men’s styles. And going to a male barber is extremely helpful because he can relate to you. As a guy himself, your barber will draw upon his knowledge of men’s hair to help you decide what’s best for you. Going to a barbershop is also about more than getting a first-rate cut. The experience of a barbershop is unlike any other. In a barbershop, you can relax and unwind in a pleasant, welcoming atmosphere, which is a far cry from the sterile environment of most salons. In the end, it’s up to you to decide where you want to go for a haircut. But before you make your final decision, here are 6 reasons why you should go to a barbershop. A male barber knows how to cut men’s hair. Salons employ cosmetologists, who are trained in cutting hair but also in coloring, perming, and other procedures. Most guys won’t need these services, but they do need someone who knows how to give a fantastic haircut. 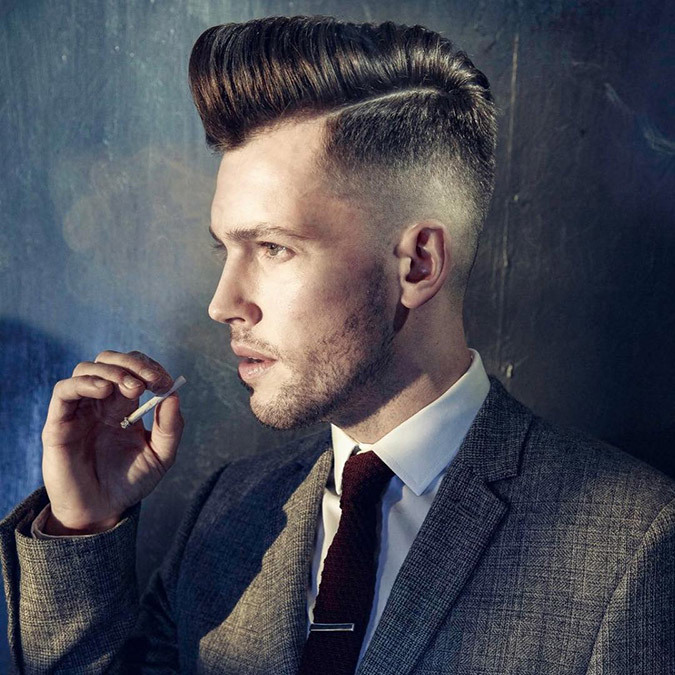 Barbers are specifically trained in the art of cutting men’s hair. 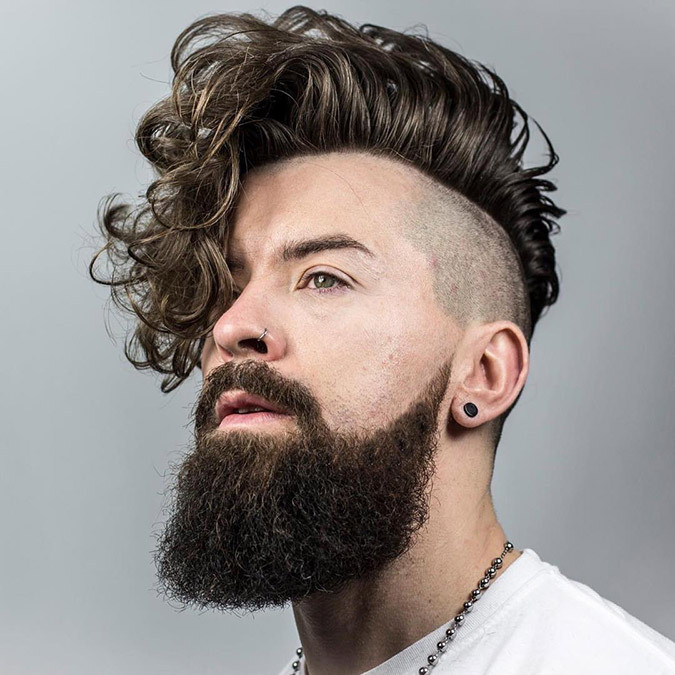 They study male hair types and hairstyles, so they have an in-depth knowledge of classic styles like the undercut and pompadour. They also know what to recommend if you have any questions. Whereas cosmetologists can only make general, vague recommendations, barbers can analyze elements like your hair type and face shape to help you find the right cut for you. The environment of a barbershop is decidedly masculine. Be honest with yourself: Do you truly enjoy going to a salon to get your hair cut? The answer is, probably not. It’s painfully boring at worst and tolerable at best. Barbershops, on the other hand, are constructed with men in mind. They create an atmosphere in which men can sit back, relax, and enjoy themselves and the experience that the barbershop creates. Every barbershop approaches this differently, so we recommend trying out several barbershops in your area. Some feature walls of sports memorabilia. Others are plain, no-frills shops. But no matter the barbershop, the environment will be decidedly masculine. Visiting a barbershop is a one of a kind experience. Most hair salons are cookie cutter layouts. If you’ve seen one, you’ve likely seen them all. You can find them in supermarkets and shopping plazas, so they all look relatively the same. The atmosphere is generic and, often, so is the service. But barbershops provide a unique experience. Many shops are set up in older, historic buildings, which lend an authentic feeling to the atmosphere. Some are bright and contemporary while others are vintage and homey. Most feature free refreshments, and many barbers are happy to chat with you with no nonsense or small talk. So no matter what kind of environment you enjoy, you’re likely to find a barbershop that matches your preferences. At barbershops, you can get more than a haircut. As a guy, your hair options are limited if you go to a hair salon. You can get your hair cut, maybe a shampoo, and that’s it. The rest of the services, like coloring, you probably won’t need. Barbershops offer services specifically for gentlemen. In addition to getting a haircut from someone knowledgeable in men’s hair, you can get a beard trim, mustache trim, scalp massage, line up, and much, much more. This includes the legendary hallmark of a great barbershop––a hot lather shave with a straight razor. You’ll never see this offered at a salon, but men all over the world consider it to be one of the most exquisite experiences a barbershop can offer. A barber will typically shave you after your haircut, and it’s a wonderful, refreshing way to stay clean-shaven. Barbershops provide top of the line hair products. Most salons will only have basic styling products, such as shampoos and gels. If you’re after a high quality hair product to use, you could be out of luck. Many barbershops carry specialty men’s hair products, like pomades and mousses. Best of all, the barbers will be able to help you decide which product you should get. Say you want a good pomade for a pompadour. Explain that to your barber, and he’ll be able to find the right pomade for your hair type and style needs. Barbershops provide more bang for your buck. It might be tempting to go to salons that publicize their low rates. Many places charge right around $10 USD for a basic haircut, which is probably all you need. In comparison, the going rate for American barbershops is anywhere from $15 to $25 USD and up. So if it’s more expensive, how is it more bang for your buck? First of all, the haircut you receive will always be better quality than a salon haircut. You’ll walk out of the barbershop with an amazing cut that’s exactly what you want. That factor alone is well worth the price of admission. In addition, you’ll often receive more than a haircut. Many barbers include a hot lather shave with a standard haircut, so that $15 you’re paying is for a cut and a shave. If that wasn’t enough, you can also receive personalized hair advice. If you’ve had burning questions about what style is best for you, you can ask your barber. So even though barbershops seem more expensive at first, they provide outstanding service. Read online reviews – Sites like Yelp and Facebook host reviews for local barbershops, and they’re generally a pretty good indication of how good the barbershop is. Here at Haircut Inspiration we are glad to promote good barbershops. Here is an article about award winning barbreshop from UK Braid Barbers.